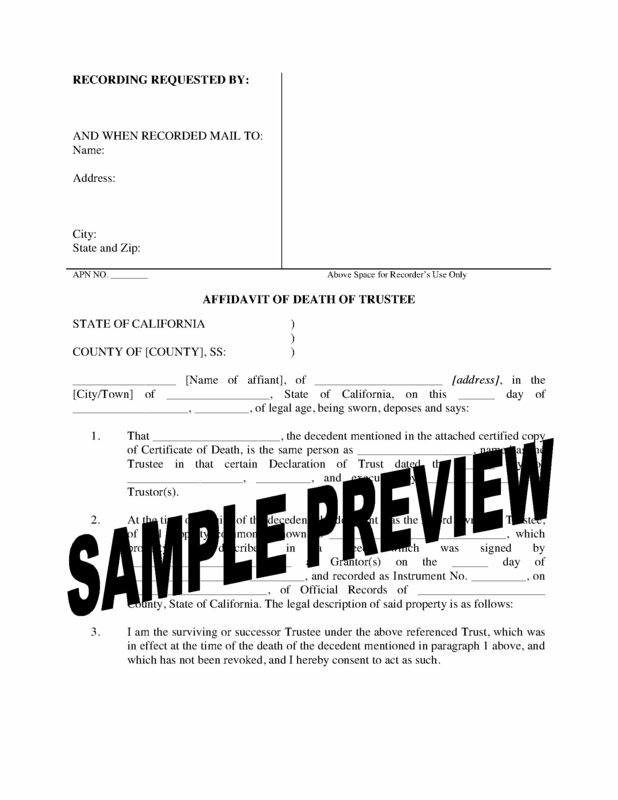 Record the death of a trustee holding property under a declaration of trust with this California Affidavit of Death of Trustee form. The Affidavit is made by the successor trustee under the declaration of trust, and is filed with the County Records Office to have the trust property transferred into the name of the successor trustee. This California Affidavit of Death form is provided in MS Word format, and is easy to print, download and use.